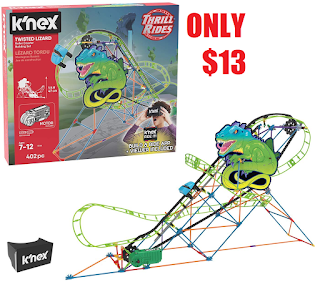 K'NEX Thrill Rides – Twisted Lizard Roller Coaster 402 Piece Building Set $13.30 (Was $45) + Free Shipping With Amazon Prime or $25 Order. Price on this one may shoot up fast as people buy it so be quick if you want it. This is an amazing price!